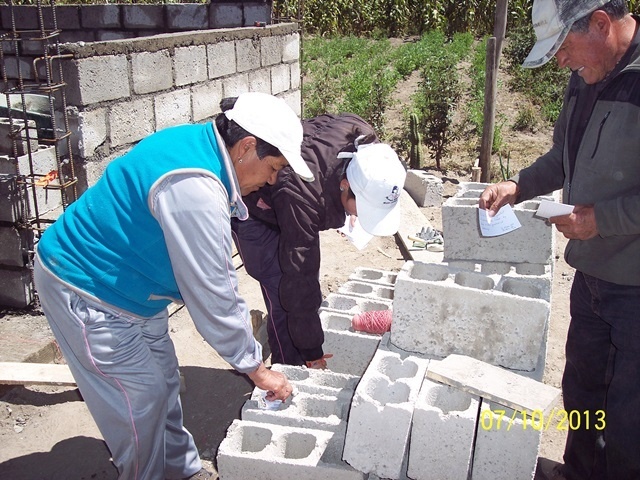 During February of 2006, one of our Ecuador Habitat Brigades was building in Santo Domingo – Ecuador. One of the participants was a UCC pastor named Calvin Bloesch. During the week he was looking at the blocks which contain two or three interior cavities and came up with the idea of writing a blessing for the family on a piece of paper and putting it inside a block prior to cementing the block in place. He cut up some sheets of paper that he acquired from the office at our hotel and asked each of us to write some sort of a short blessing for the family to be placed in the blocks the next day. Since then, this has become a tradition with the Ecuador building teams. Although the families that are buying these homes from Habitat didn’t see the blessings in the early years, they now read them and place them in blocks as the home is being build. 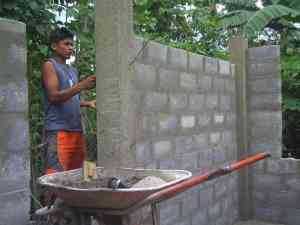 It touches them deeply that we think to do this while building their home. We would like to give this opportunity to many people from Illinois South Conference. Perhaps it is impractical for you to go on one of these building trips. However, there is a way that you can have a very specific role in the success of this ministry. 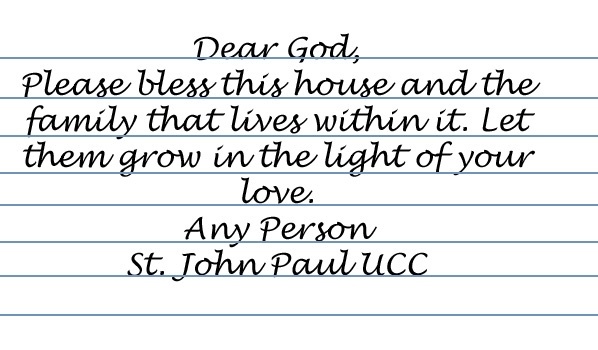 What we need is for 1000 people within the Illinois South Conference to send a blessing on a 3 x 5 card to place in the blocks during future builds. We will take these 3 x 5 cards with us to the building site and over the course of several days, will insert them one at a time into the cavities in the blocks. If the blessing is written using a ball point or felt tip pen there is no reason why it will not be there for 100-200 years. 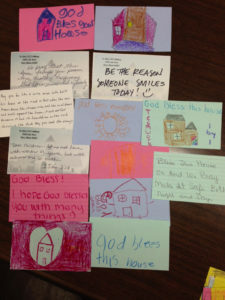 We believe it will make a very powerful statement to the home owner family that there are 1000 brothers and sisters in Christ that they do not know, and probably will never meet until the next life, who care enough about them to send these blessing cards and contribute to buying the cement blocks and mortar we are using to build their home. Additionally, consider the impact on the workmen a century later who may be repairing a section of the walls after an earthquake and find these 3 x 5 cards. Each Habitat build trip includes a fund raising effort to collect $6,300 to purchase the materials we use while building. We rent a concrete mixer and sometimes purchase a few new wheelbarrows and hand tools that remain with the local Habitat Affiliate for future use on their projects. 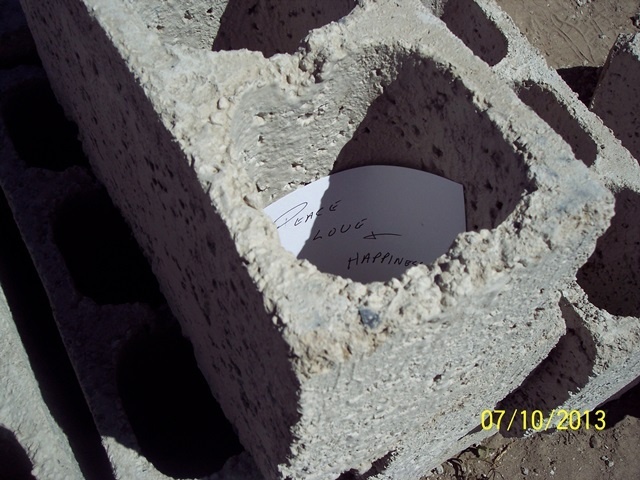 If you or your group can include some funds with your blessing cards, it would be appreciated as it will purchase the blocks and mortar for the process. 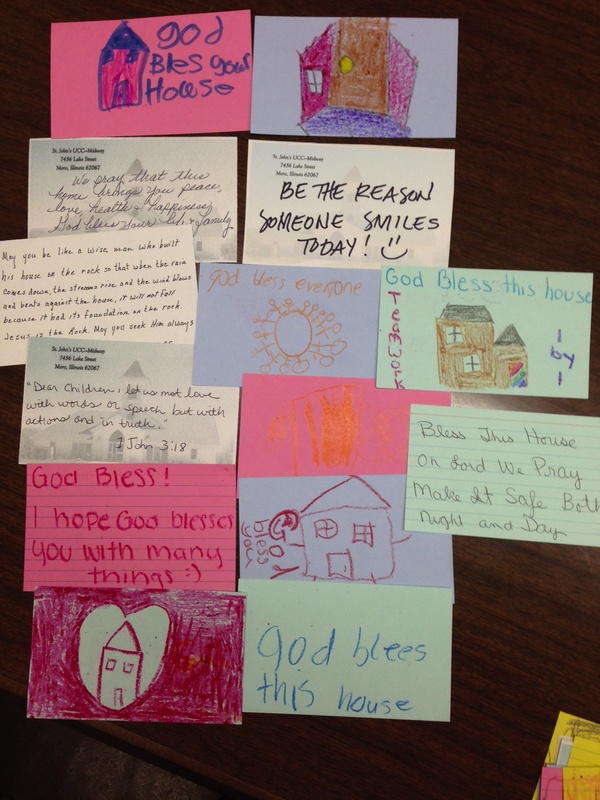 While we value the funds, it is not necessary to send them with the blessing cards. Each has a value of its own.